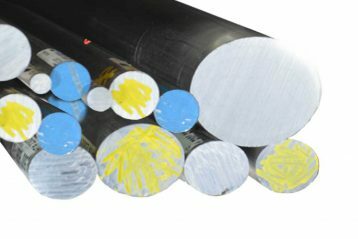 2024-T3 Aluminum Round Bar will be added to your quote! 2024 Aluminum: high strength, fatigue-resistant for structural applications in motorsports and aircraft industries; good machinability. Good corrosion resistance in non-industrial, poor for marine use. AED Typically stocks 2024 Round, Flat, Square and Hex Bars in extruded form (T3511), which meets Federal Specification QQ-A-200/3. Cold finished (T351), wich meets QQ-A-225/6, may also be available on request. Stocked in 12 foot lengths; cut pieces available. 2024-T3 Aluminum Round Bar will be added to Cart!